It’s time for a cup of tea with the Queen of England!? Take a look at this great TravelBird deal to England. From only 1899 DKK you can take a 3-day trip to London, with 4* hotel, breakfast and flights included. You’ll be staying 2 nights at the great 4* Tower Hotel in the heart of London. The hotel is located directly in front of the famous Tower Bridge just between the River Thames and the St. Katherine’s Dock. Many attractions are within walking distance. Of course free WiFi is available throughout the entire facility. Additionally, the deal provides you with daily tasty breakfast. The 4* Tower Hotel has received great reviews on TripAdvisor and has been awarded with a 4 out of 5 total rating from amazing 6075 different reviews and has received the Certificate for Excellence. The flights are with Ryanair or Norwegian Air from Copenhagen, Billund, Aarhus or Aalborg to London. Included in the price is one piece of hand luggage (10 kg). Checked luggage is available at an additional cost. For all of you who are flying from Aalborg Airport you are lucky, there is also checked luggage of 20 kg included in the price. There are available dates from March– October 2017. Simply click through the links and see if you can find something that fits with your schedule. You can find the cheapest price in the months of March and August 2017. 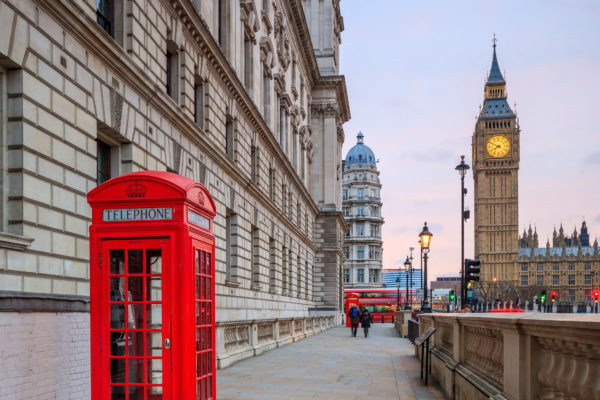 In London there are a lot of things to see and do, for some inspiration you can check my London travel tips and enjoy 3 days of fun! Let’s go to the London deal! Sign up for our Newsletter, and don’t miss anymore deals. You’ll be the first to find out about our London bargains!